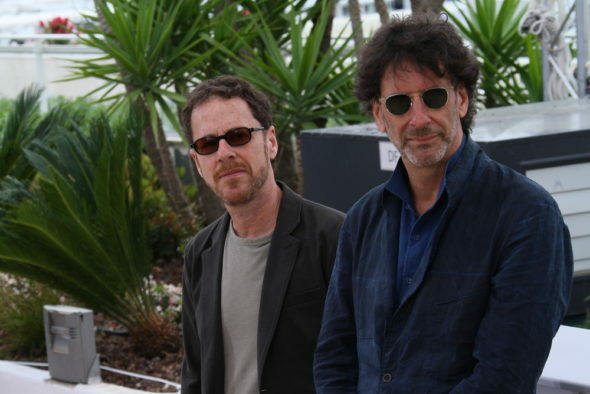 The Coen brothers are coming to the small screen. Today, Netflix announced they’ve ordered a new TV series from the award-winning filmmakers called The Ballad of Buster Scruggs. The six-part Western anthology “will feature six tales about the American frontier told through the unique and incomparable voice of Joel and Ethan Coen. Each chapter will feature a distinct story about the American West.” Tim Blake Nelson will star. The Ballad of Buster Scruggs will debut on Netflix in 2018. Hollywood, CA — August 9, 2017 — The Ballad of Buster Scruggs, a new Netflix original project to be written and directed by Joel and Ethan Coen, and produced by Annapurna Television, is coming in 2018 for Netflix members around the world. Academy Award(R) winners Joel and Ethan Coen will write and direct the anthology, as well as serve as executive producers. Megan Ellison and Sue Naegle from Annapurna Television will also serve as executive producers, along with longtime Coen Brothers collaborator Robert Graf. The Ballad of Buster Scruggs is an Annapurna Television production and will premiere in 2018. What do you think? Are you a fan of the Coen Brothers’ work? Will you watch The Ballad of Buster Scruggs? Update: It was later clarified that this was to be a feature film. It was released by Netflix on November 9, 2018. More about: Netflix TV shows: canceled or renewed?, The Ballad of Buster Scruggs, The Ballad of Buster Scruggs: canceled or renewed? This “show” should be removed from the site. They made it into a movie and a tv series is not in the making.